Location: West side of Billing Road, north of its junction with Station Road. Present state: The main station building/house is still extant. 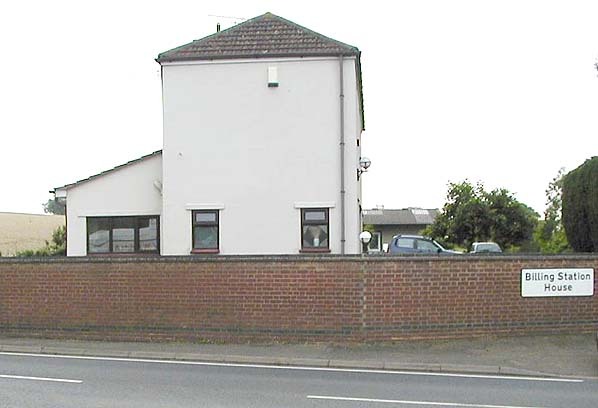 Until recently it was a commercial premises owned by Shadowfax Engineering. 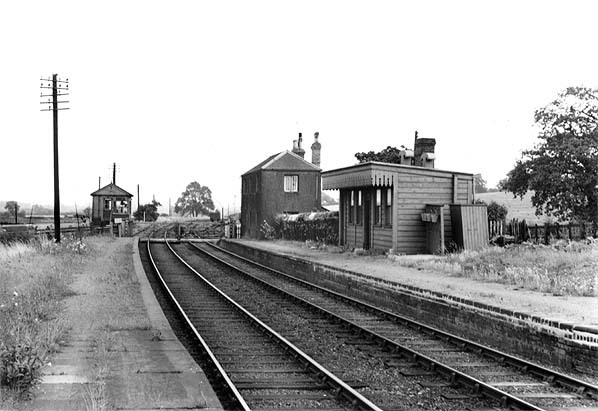 The platforms have been demolished and the signal box on the opposite site of the road was burnt down and removed many years ago. Notes: The station did not open with the line first appearing in the company timetable on 10th December 1945 and in Bradshaw in January 1846. There was a derailment early in the station's history when a storm blew the level crossing gates shut; the signalman tried to open them in time for the train to clear the crossing but was unsuccessful and was killed. The station opened as Billing Road and was renamed Billing on 1st April 1893. 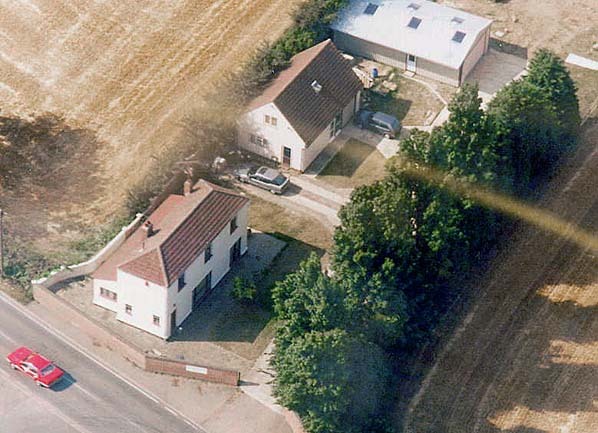 The two-storey stationmaster's house which incorporated the booking office was a very plain rectangular building. There was a timber waiting room on the on the up platform with no buildings on the down platform. 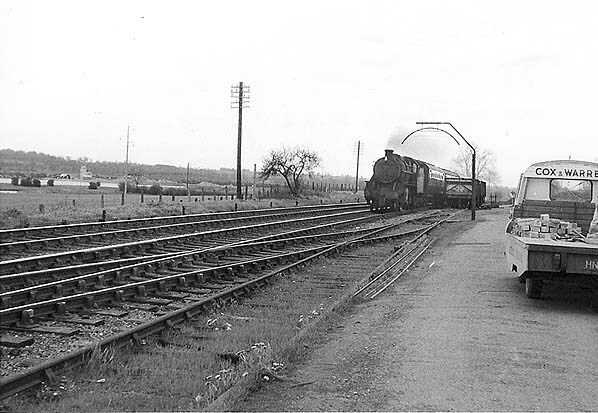 The station was provided with a small goods yard on the up side of the line east of the level crossing. 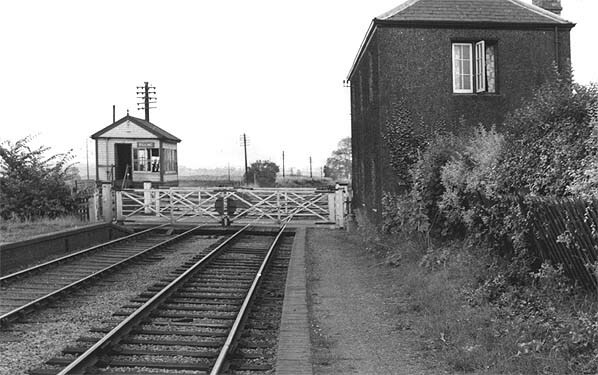 Access to the yard was controlled by a signal box which was on the down side, east of the level crossing. The yard consisted of a loop giving access from both directions, and a single siding. Billing was an early closure losing its passenger service on 6th October 1952 although it retained its goods service until 1st June 1964.
line from Yarwell Junction (just west of Wansford) to Seaton on 1st November 1879. The 1923 grouping took the line into the London Midland and Scottish Railway (LMS). petition was started and action committee appointed but when the committee asked for a collection to meet their expenses only £1 18s 3d was raised! The line was formally closed on Monday 4 May 1964. Bradshaw from Nick Catford. Route map drawn by Alan Young. 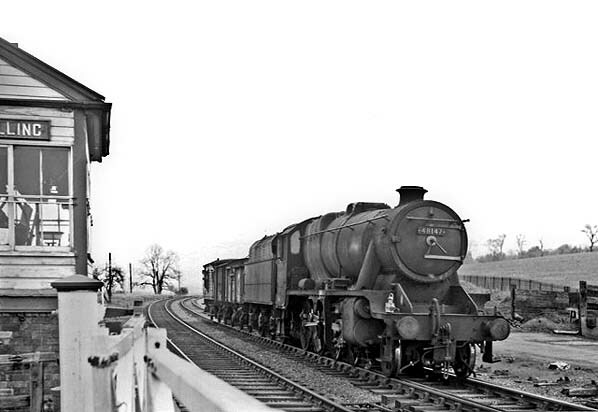 Billing station looking east in 1953, a few months after closure to passengers. 42970 passing Billing goods yard with the 3.50pm from Peterborough East to Northampton Castle. The goods yhard closed a few weeks later. 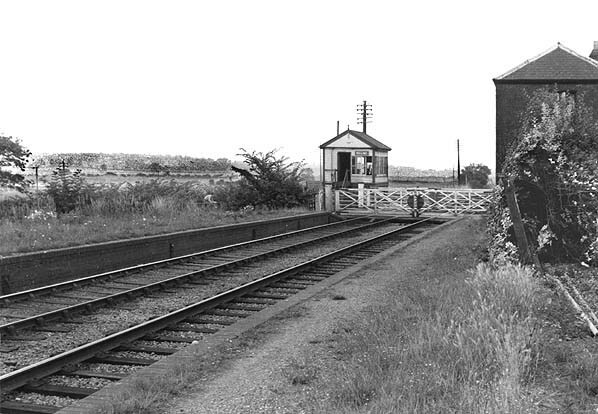 Billing station looking east from the site of the waiting room in the 1960s. 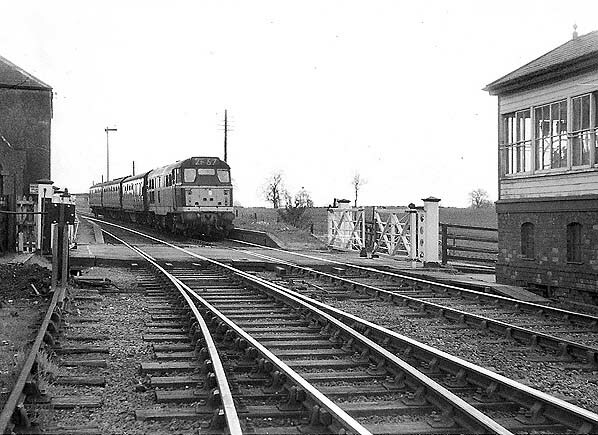 Billing station looking east from the up platform in the 1960s. Billing station in May 1965. 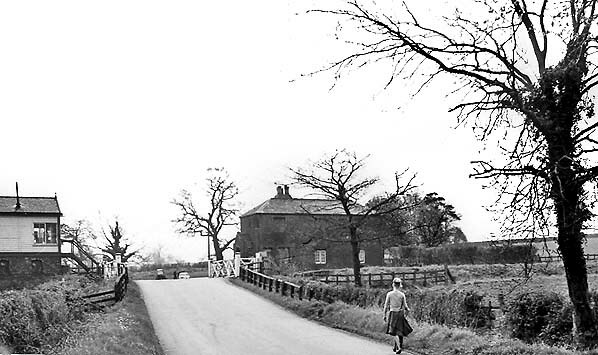 Looking south along Billing road towards the level crossing in May 1965.